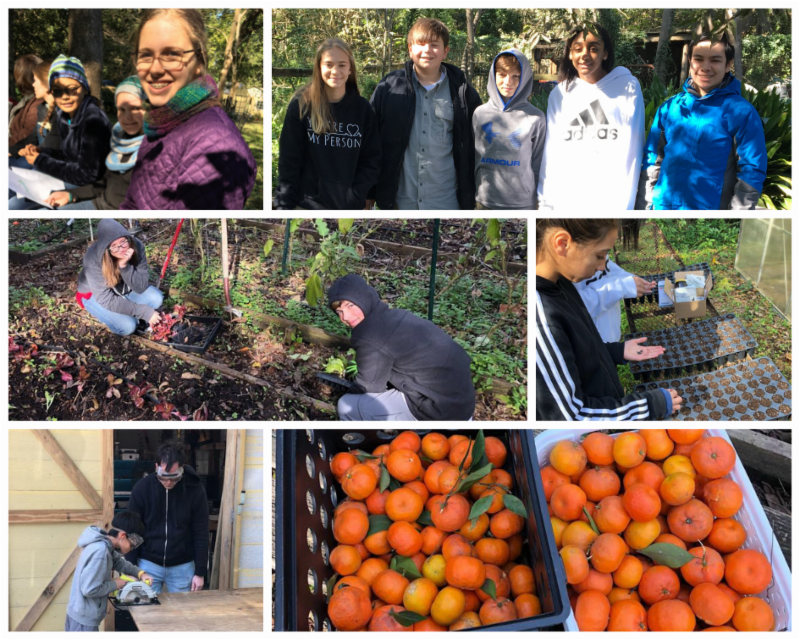 The week before Thanksgiving, the Adolescent Community students embarked upon the year’s work at Japhet Creek by exploring the property with the help of the high schoolers. The day started with treats from nearby Central Bakery, followed by a gathering around the campfire where students heard the words of Maria Montessori, the poetry of Wendell Berry, and the story of Japhet Creek from its days as Karankawa land to its current role as a natural refuge within the bustling city of Houston. The high school students gave tours of the creek, talked about their environmental work, and gave an aerial view of the property with a live drone demonstration. This all-around inspiring morning filled with sunshine, tranquility, and storytelling ended with a hot bowl of chili around the fire.